It was the fiercest sweatshirt on the streets...yup, I'm talking about KENZO's tiger sweatshirt. And the trend didn't stop there, from tiger stripes to prints of actual tigers, this is one animal trend that won't make you look like you are in elementary school. Tiger stripes offer an unexpected alternative to classic leopard prints, especially when done in a pop of color. 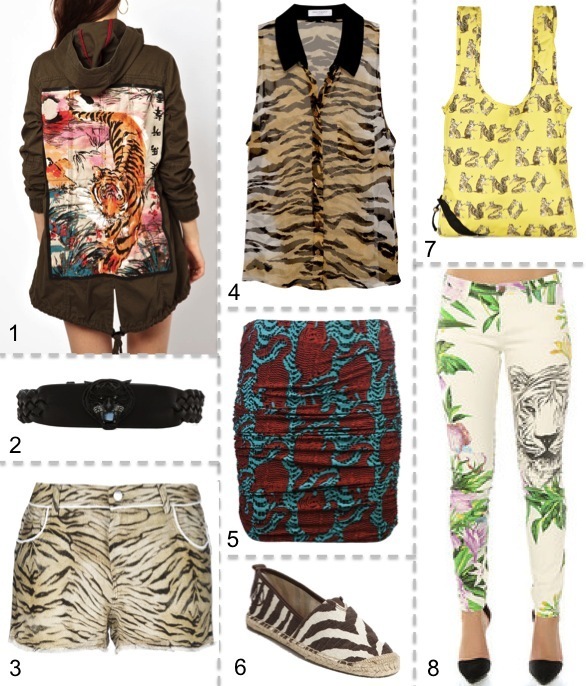 For a bold impact, I love the look of actual tiger images staring at you from a great dress or fun top. Speaking of tigers... before you start shopping, if you're looking for an enthralling display of stupidity, check out the YouTube videos of Enzo the pet Tiger . I love prints on my clothes, that dress is very pretty! 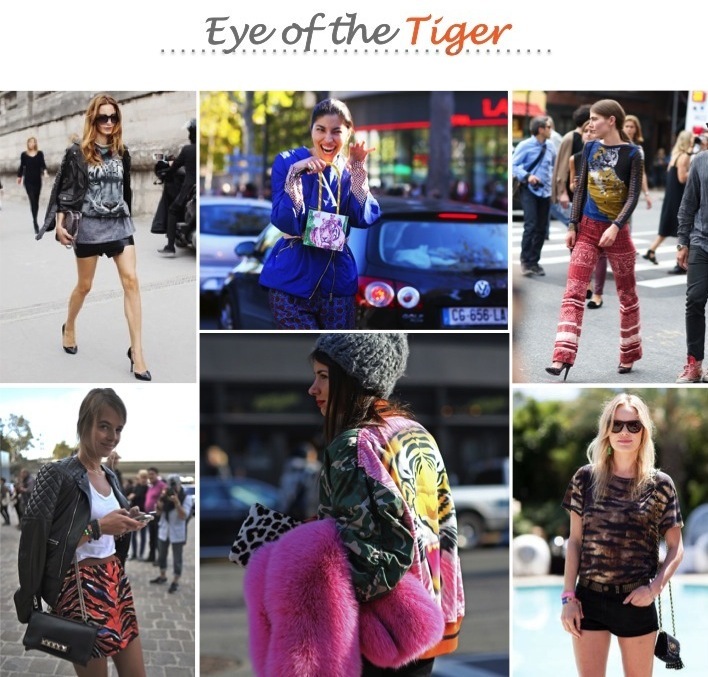 I love your blog post title and the tiger print trend! Oh that looks really cool--I like the tiger print! Great selection of clothes btw!! I have a tiger on a t=shirt and love it, great picks!